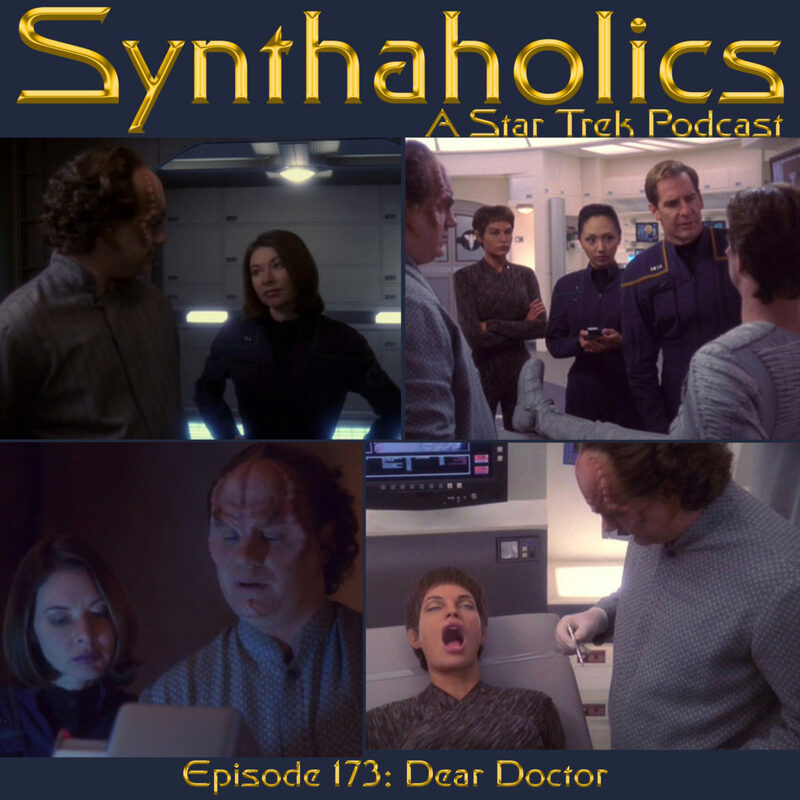 After our fun filled episode last week it’s time to get serious, Aaron and David are back to discuss the Star Trek Enterprise episode “Dear Doctor”. “Dear Doctor” is a Phlox centered episode where he is asked to create a cure for the Valakians, a race dying of a genetic disease. The Valakians cohabits their planet peacefully with another humanoid race called the Menk. Phlox ends up believing the Menk should be given a chance to thrive and with cure in hand he convinces Archer to not hand over the cure to the Valakians. 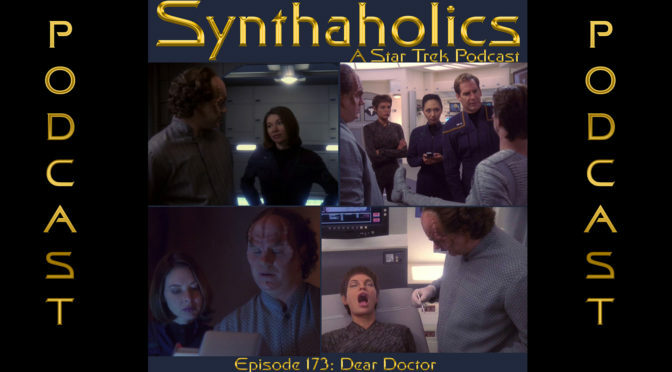 After the recap of the episode Aaron and David debate whether or not Phlox and Archer committed genocide on the Valakians by as Kirk would say “Let them die!” We also have a listener email this week. Why don’t you pour a stiff drink for a serious conversation, it’s time for you weekly shot of star trek!